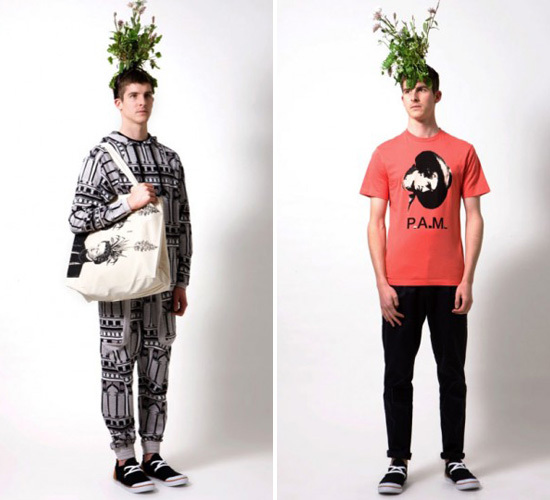 Australian-based clothier PAM (a.k.a. 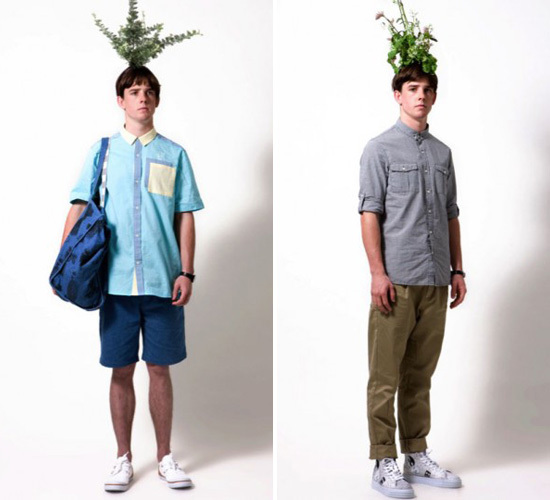 Perks and Mini) have released their Spring/Summer 2010 collection, called Garden of Earthly Delights. 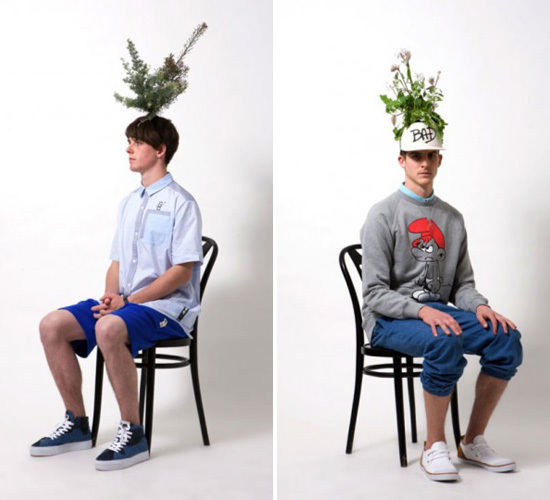 Perhaps mirroring the alien weirdness of Hieronymus Bosch's masterpiece, it's a fantastical amalgam of Justin Bieber's Urban Outfitter, inner city sensibilities exploited in earlier seasons by Tommy Hilfiger, and coastal chaviliciousness. 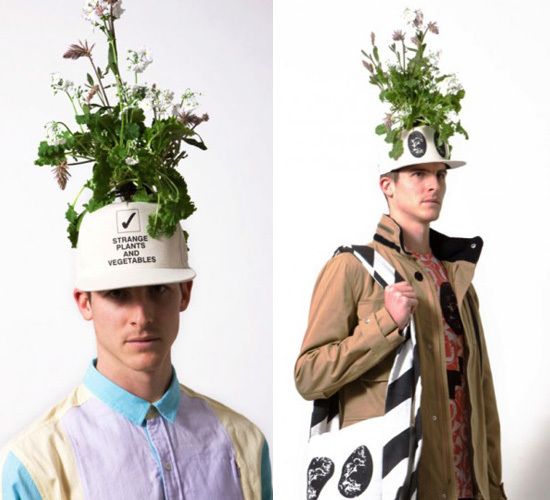 Obviously the key accessory here are the vegetal chapeaux, photosynthesizing organic and local nourishment as well as phytoremediating contamination accumulated from childhood vaccination regimes and years of eating frozen chicken nuggets, all the while just being awesome to the extent that Lady Gaga could never approximate. I also subscribe to The Sartorialist in my blog reader. I thought this post was at that blog. 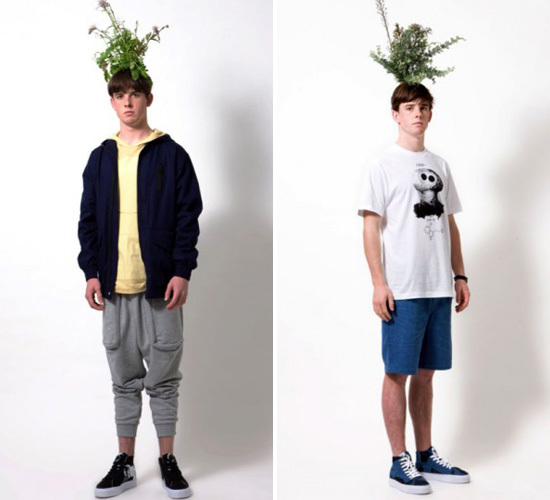 I do think it would be very good if more people were to wear flowers and plant materials. Hans Walter Silvester has documented the genius of the Omo People in Ethiopia for doing just this.